You′ re not fully done with on–page optimization until you shape your page up a bit more. First, make your Webpage Report once again. Baby–simple: just go back to the Keywords tab of WebSite Auditor and click Regenerate. Wait a couple of seconds before your smart tool does the job, and switch to the report. Now, look at it one more time. If you followed the recommendations before, I guess now your report is more green and yellow and less red. If you have red spots, something′ s wrong on your page. Yellow cells mean you′ re quite close to the ideal. So go over the Webpage Report again and make the corrections WebSite Auditor tells you to make. And, after you made the recommended changes, again, upload the page to the site and check it with WebSite Auditor. You have to go on with your checks and corrections until your report′ s almost all green. DO IT NOW! Check your webpage with WebSite Auditor and make corrections, where the software shows they′ re needed. After that, publish the page to the Web and check it again. Do this several times, until the software says your page′ s fine. You′ ve got your first landing page? Good job! What you have to do now is, make 4 more pages. But these are not just four pages. These should be 4 fantastic&natural pages. If a page is the 3rd, and not the first one you made, it doesn′ t mean it can be worse in quality. Each page must be as great as the first one, just targeting different keywords. The software will help you find an ideal page structure, and my comments will guide you all way through. Look at your keyword list and choose the next main keyword plus extra ones that come with it. You′ ll use these keywords for a new page. Try to make each of the 4 pages as great as you can. So, ready with your main keyword? Then, go through all steps to make another great landing page, starting from "Preparing a page to optimize" in 3.3. DO IT NOW! 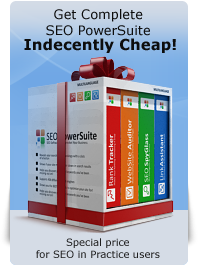 Run all this chapter′ s recommendations from the very start to create 4 more landing pages. This is all you have to do for the on–page optimization part. Previous: "Search Engines don't read images." So what? The meaning of these exact "yellow" keywords is that you are optimizing your site for "wedding dresses" and add "blue" and "yellow" to the keyword in your text sometimes, so your page will be covering three keywords that bring traffic instead of one. On being worried about repeating too much — as long as the text is readable and feels fluent as you say, you shouldn't worry. If a text is stuffed with keywords you can tell that a human would have a hard time reading it - then the robots will downgrade it for sure. I wanted to write a little longer question but Richard here did half of my job so there is one think I need to check if I understood right. When I have my table organized by my main keywords and I am about to write contents and optimize for one of them, do a landing page on say "wedding dresses" :) which is my green keyword. But I also have "blue wedding dresses" and "yellow wedding dresses" as my yellow keywords. What is the ratio I should respect among these keywords. I understand that I need to maintain density of my green word due to my competitors sites but i can't do that with my other keywords, or can I. (I hardly doubt that I and my competitor have exactly the same keywords). Do i do that by feeling or i missed something??? Also about anchor texts in images and similar. Should I put logically keywords in it, or should i focus on my green one. I mean, i think i didn't quite understood the meaning of yellow words. By using them in fixed density i lose freedom in writing my texts but again logically it seems to me that it is smarter to focus on my better keyword as i am optimizing for it. I would hardly stand a chance in my "reserve" keywords as someone probably exists who has "blue wedding dresses" as its green word. And one more thing i didn't understand is why i should be worried about repeating the keyword too much if i succeed to keep text fluent anyway. Why would that be bad for spider??? I mean i don't have to make a keyword farm, but i can hide a keyword or two on my site (to humans due to our proven power of perception) and i spider would see more keywords. Why is that bad???? I'm having trouble understanding the navigational mechanics of having more than one landing page. In the time before reading about this concept, my Home page was my landing page of choice. So what you are suggesting is designing multiple Home pages that will variously show up in a search engine depending on the search criteria. The goal is to get each of these Home (landing) pages to get high rankings in the search engine based on its searchable key words. Here is my problem.... All of the pages in my website are linked together via menu links, and other content-specific links. Every page is linked back to the Home page in the menu. How do I deal with the linking structure if I create 4 more Home pages? How do I incorporate links to a "new" Home page where there used to be a link to the old one? Help.... please! Well, I never meant to tell you to create more "home pages". What is meant by a landing page is a page where a user lands after searching for a certain keywords. Simply because you can not optimize one page for more than 3-5 keywords. So you have a homepage, that is optimized for several _main_ keywords, and you have other pages on your site that are optimized for other keywords, so you're covering the whole niche with your site. Hi Dan- I enjoyed the certificate training and purchased the product (I'm in the 30-day trial). I earned the cert and re-traced the steps with one of my sites, but I'm hitting a confusing point. I could go through the steps with the Kywd Gen but the Auditor is frustrating me. I'm trying to get past 3.7 lesson. I have followed all the points up until now: ran the report and have a lot of red in the link value. I also have W3C errors, but I'm going to address those. I'm confused as to how I can increase the link value at this point. Also, for some reason, some of my pages don't show up in the report so I ran two and noticed that some weren't listed at indexed with the SE even though they were on the other report... I'm stuck and don't feel the report is giving me enough guidance to move forward which is obviously what I want to do. Help! In order to increase link value the way it's calculated by SEO PowerSuite tools right now you need to increase Google PR (that means getting more quality backlinks) of a page and decrease the amount of all outgoing links on it. Oh, ok, thanks, Dan. So I do have some backlinks to articles and the home page but not all the pages. As I recall the later chapters focus on link building. So is it safe to understand that my focus should be first on W3C and to move through Chap 3 and onto 4. I was hung up on 3.7 because of the red in my report in regards to links and errors, but maybe I shouldn't be and move on. Is that a reasonable understanding? Help me understand something... for a keyword, my keyword density is 0, but my efficiency is 70%, for the same phrase jumbled, my density is 0 but efficiency is 9.6% and 96.2%.. what does that mean? How can it be so drastically different? Hard to say without looking at your page. You need to keep in mind WebSite Auditor is a relative tool based on comparison with your competitors. You can read more on Link-Assistant.Com forum: http://www.link-assistant.com/seo-talk/when-100-may-not-be-the-objective-t1509.html It makes sense to look at the specific competitors' page element and figure out the best density that way. yes thats what I mean, thank you. Its just that you meantioned that just use in the top pages that you will be using, but alot of my pages are the top pages. Do you mean meta keywords and meta descriptions? Yes, it is good to have unique meta elements on each page. and send your WebSite Auditor project to them please. (That's the file with the .wsa extension).